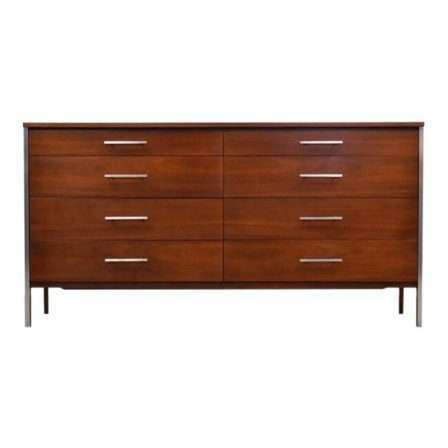 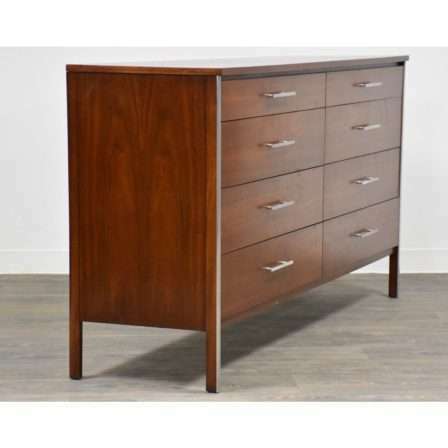 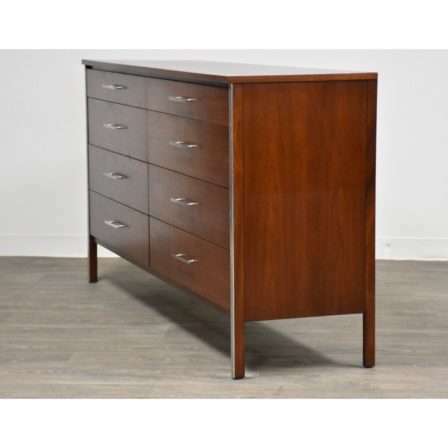 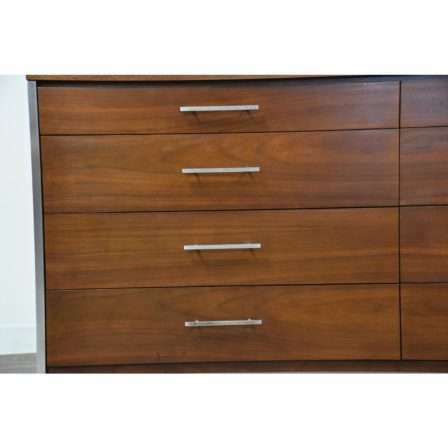 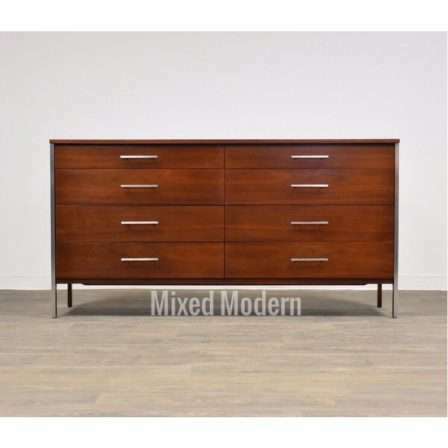 Description:A marvelous mid century modern eight drawer walnut and aluminum dresser designed by Paul McCobb for Calvin. 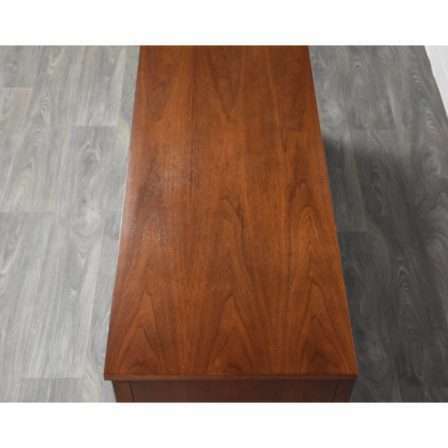 One minor veneer chip on left side shown in photo. 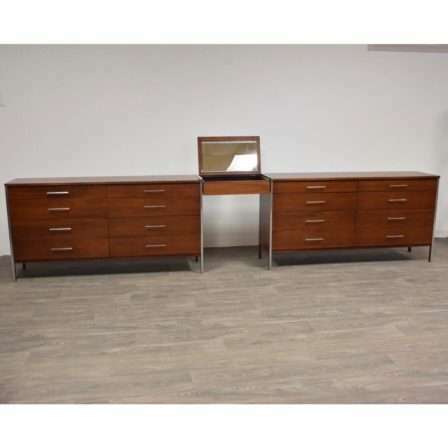 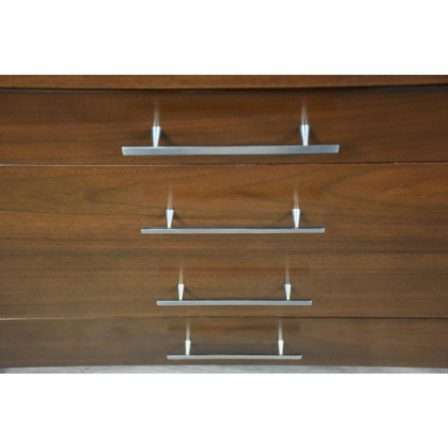 Vanity mirror and additional dressers available including a 4 drawer chest for an additional cost. 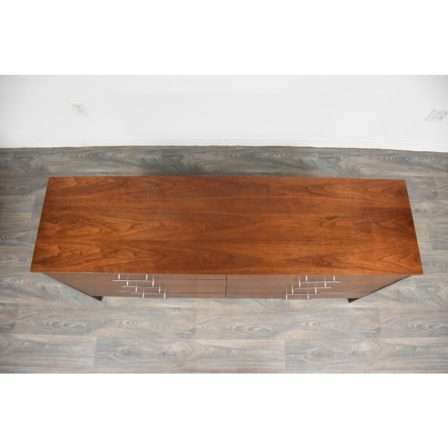 66.25” wide. 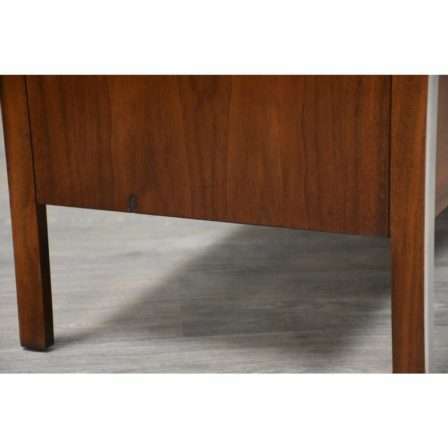 18” deep. 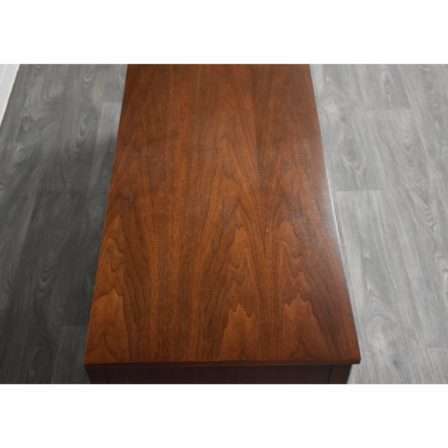 34.25” tall.